As Uganda continues to grapple with its biotech future, scientists have launched an initiative to help local farmers better understand what’s included in the nation’s biotechnology safety law. The law was approved by the nation’s parliament in December 2017, but still awaits the signature of President Yoweri Museveni, who has expressed reservations about the measure. As researchers and farmers eagerly await resolution, a battle is still being waged by anti-GMO activists hoping to derail the law. Opponents have organized what they call farmer community outreach meetings, where gatherings of farmers are given information attacking the safety and potential impacts of GMO crops. 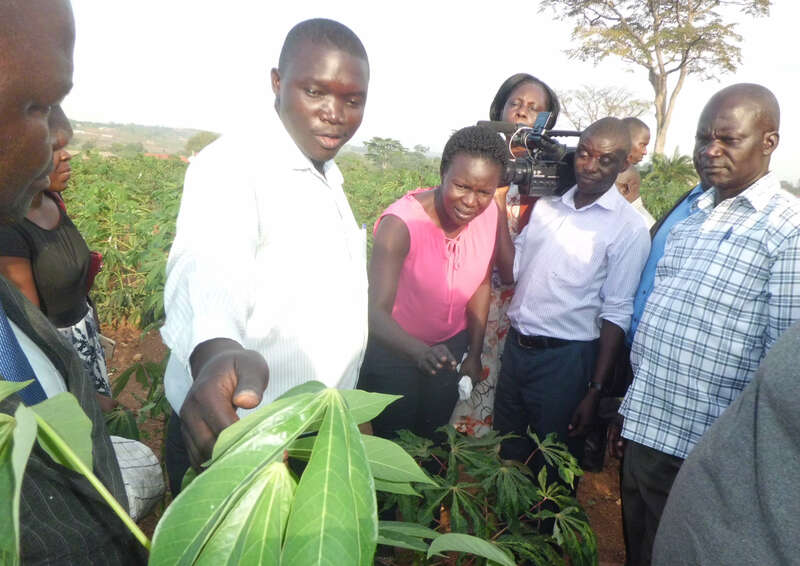 To counter these efforts, Uganda’s GMO crop researchers and development partners from the Science Foundation for Livelihoods and Development (SCIFODE) have launched their own educational efforts targeting farmers. They met recently, for example, with members of the Uganda National Farmers Federation. Among the issues they addressed were common concerns about the impact of GMOs – critics allege GMOs can cause impotence in men, create toxic foods, damage the environment, reduce seed diversity and wreak havoc on agriculture through a variety of legal issues, including prohibitions against saving seeds. 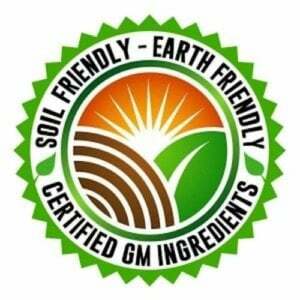 There also are concerns about the potential for GMO crops to contaminate non-GMO or organic counterparts growing in the same fields. 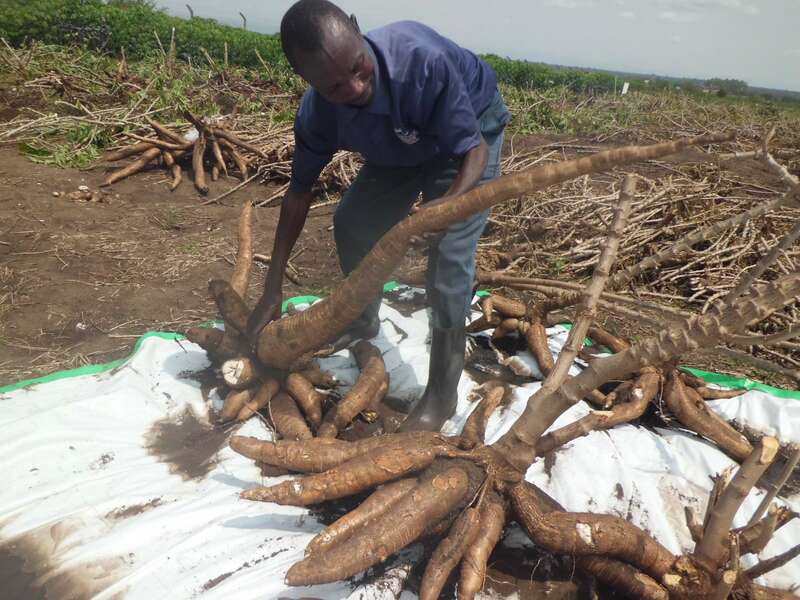 Most of the concerns are addressed by the languishing Biotechnology and Biosafety law, said Dr. Babra Zawedde, of the National Agriculture Research Organization (Naro). In the case of GMO plants contaminating non GMO varieties, this is handled by the fact that most crops (including soybeans, groundnuts and rice) grown in Uganda are self-pollinating. The only substantial crop that is cross pollinated is maize. The biosafety law covers this by prohibiting growth of GMO maize within 500 meters of non GMO maize. In the case of seed loss, Zawedde argues that the country is already losing some conventionally bred seed because of a limited gene bank. Already hybrid seeds have become increasingly important, reducing the options for farmers who might prefer to save seeds each planting season, she said. We have hybrid varieties of maize which farmers must purchase at every planting season to obtain higher yields. If in the breeding process of GMO maize scientists used open pollinated varieties, this means they can still plant preserved seed and get less yield but this will not apply if hybrid maize variety is used. It is also important for farmers to differentiate between grain and seed. Similarly, health and environmental concerns are addressed in the law, which requires the addressing of those issues before a GMO plant is released to the commercial market. What is in biotech law? Among the key provisions of the law is that it provides for approval of research developed by scientists for commercialization. The same applies for exports and imports of GMO foods, said Arthur Makara, executive director of SCIFODE. 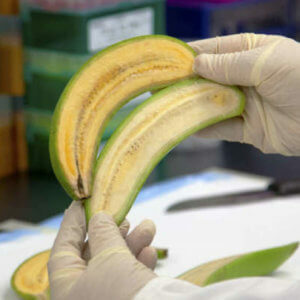 Uganda already imports GMO food, but in processed form. There currently is now law to bar a product containing ingredients that don’t meet standards. The law also provides for risk and safety management. This means that a scientist who violates the law while breeding GMO crops can be penalized and barred from further research. There also is a provision allowing regulators to inspect all aspects of research chain – from the lab, to field trials to packaging. I am aware that science can be complex even to people who are elites but this can be simplified to the simplest terms, there is need for farmers to know about the difference between hybrids, open pollinated crop varieties and GMO crops. This requires a concerted effort and that is where the Federation can come in. If other countries are advancing through technology innovation in the food value chain, why not Uganda? What I know is that scientists are prescribing to us that our soils are getting depleted and we need plant varieties which can grow on such soils. Opposition to GMOs in Uganda involves various local groups with strong ties and funding from European and US groups. ActionAid UK is concerned about reports in the press relating to our involvement in a debate in Uganda about the health effects of genetically modified organisms (GMOs). It is not ActionAid’s policy to take a position on the health impacts of GMOs because health related research is highly contested and we do not have the necessary expertise to make informed decisions. Other Ugandan organizations include the Participatory Ecological Land Use Management (PELUM) that receives donor directed grants from the US. Contributions from the Tides Foundation for various anti-GMO activities and the New Venture Fund initiative known as the AgroEcology Fund has provided multiple grants to support seed sovereignty and anti-GMO agroecology programs. 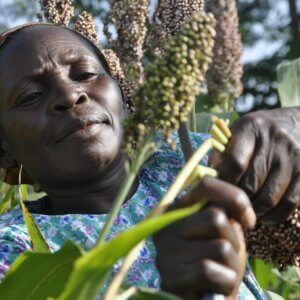 Pellum Uganda’s 2016 report indicated more than 80 percent of their budget came from European donors such as Bread for the World, Swedish Society for Nature Conservation and Oxfam. Advocates Coalition for Development and Environment (ACODE Uganda) is also known for opposing GMOs in the country. ACODE receives funding from a range of sources, including Global Greengrants Fund, Democratic Governance Facility Uganda, American World Jewish Service CARE, Ford Foundation, William and Flora Hewlett Foundation, International Institute for Environment and Development, and the MacArthur Foundation. CARITAS Uganda also has opposed passage of the biosafety law unless it includes strict liabilities. Its supporters include other CARITAS arms in Norway, Italy, Australia, Japan, Netherlands and Denmark. 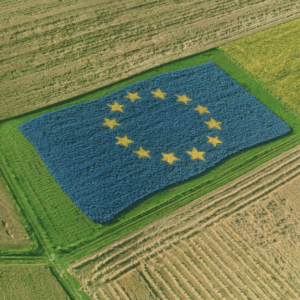 The EU and US funded Alliance for Food Sovereignty in Africa (AFSA), based in South Africa, maintains a Uganda presence in opposing GMO’s in Uganda. Friends of the Earth via their European offices funds and supports National Association of Professional Environmentalists Uganda which opposes GMOs. This is indicated in their 2015 annual report.